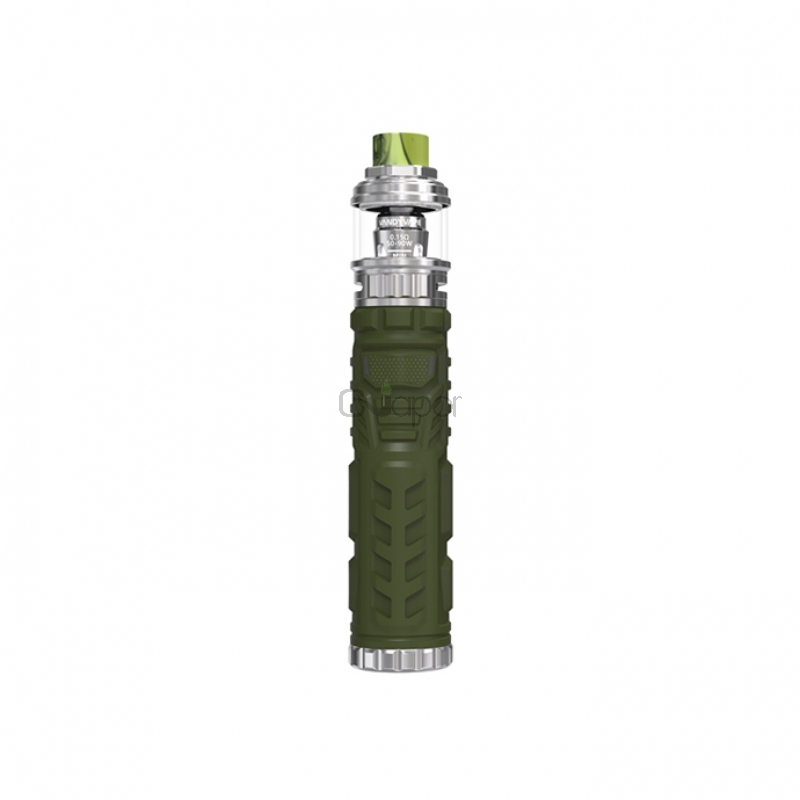 Vandy Vape Trident Starter Kit employs silica gel material to bring you perfect handgrip. 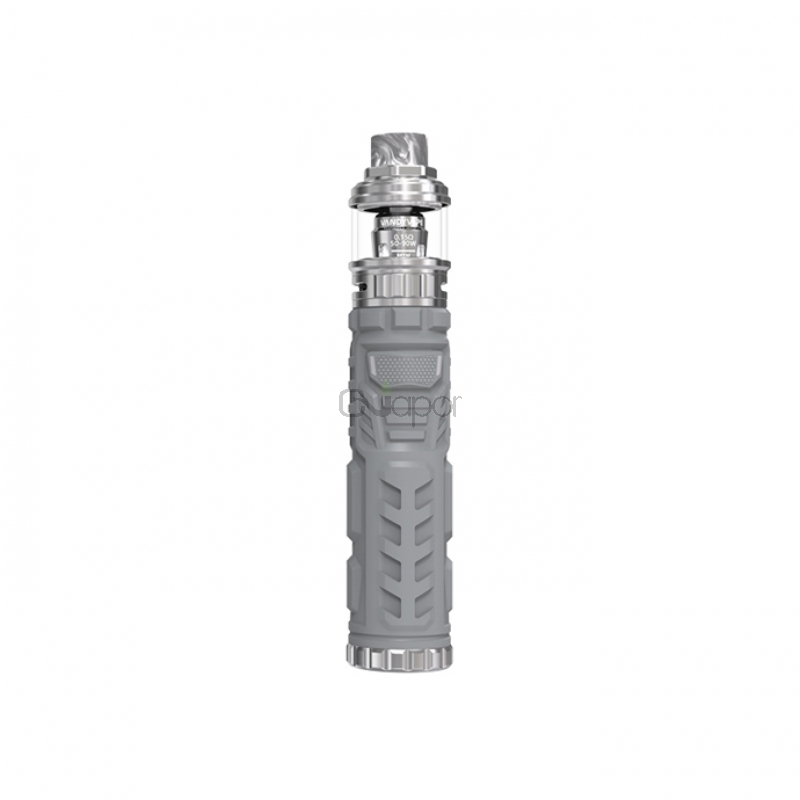 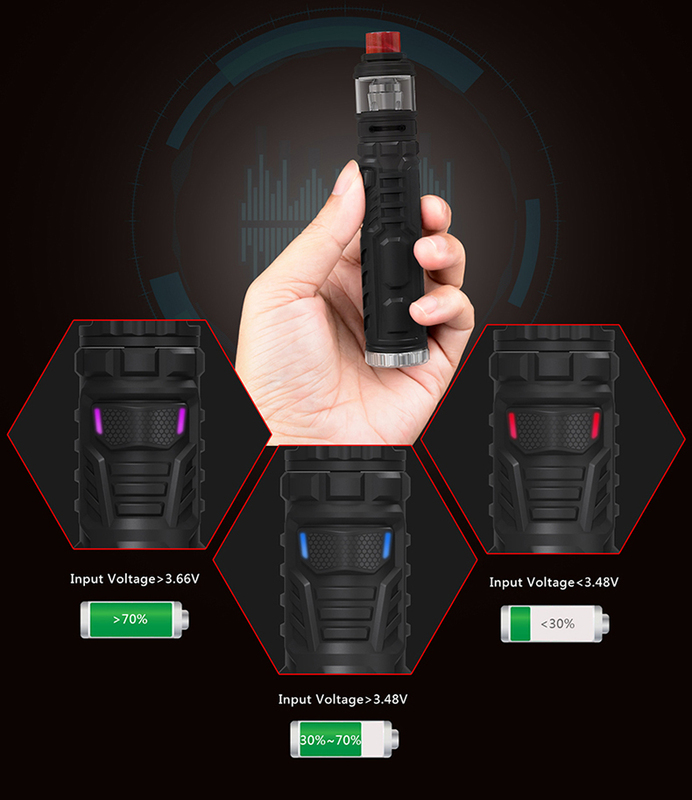 Powered by a single 18650 battery, the Trident can reach up to 100W max output. 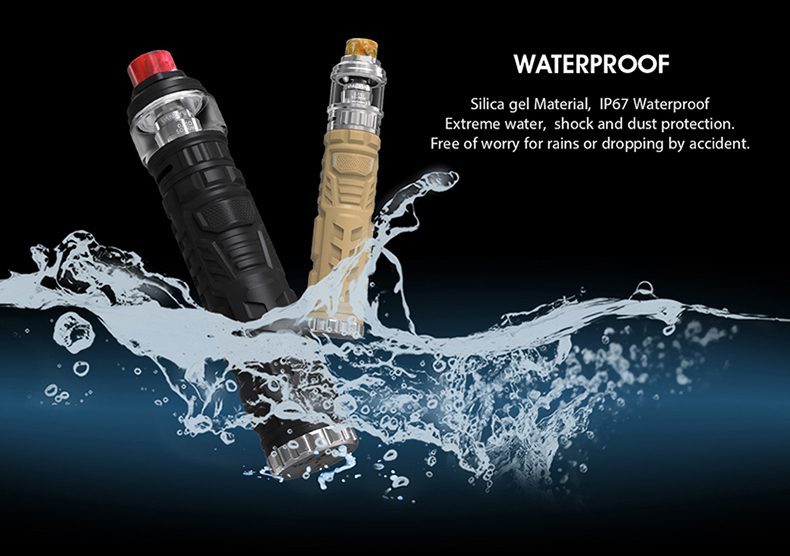 Complete waterproof, shockproof and dust protection makes the device much safer and more durable for starters. 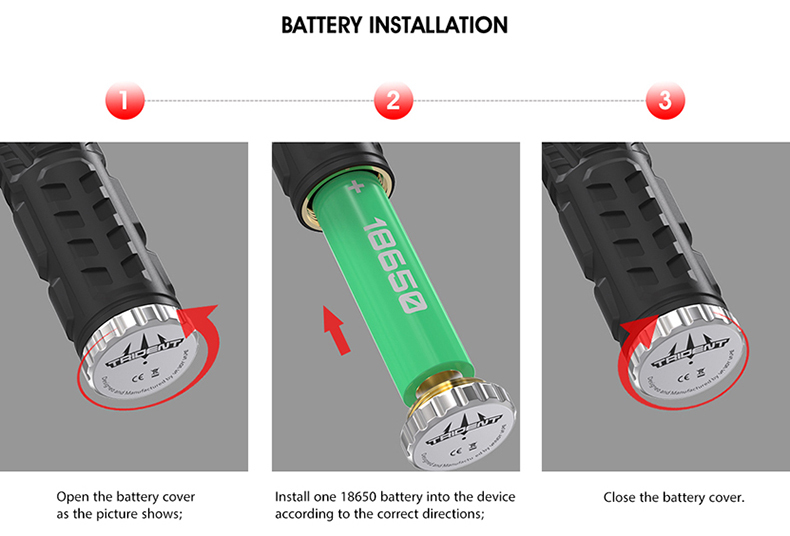 Intelligent LED indicator can show the battery status clearly. 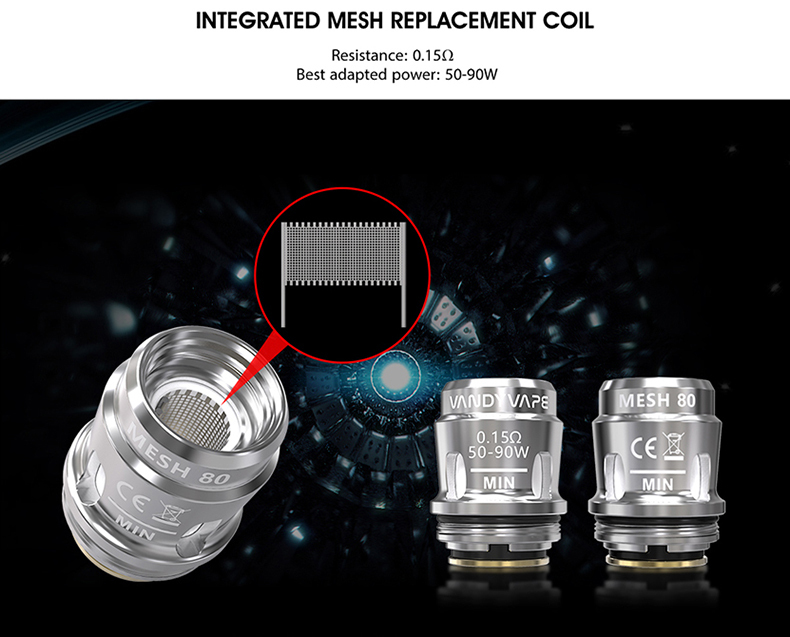 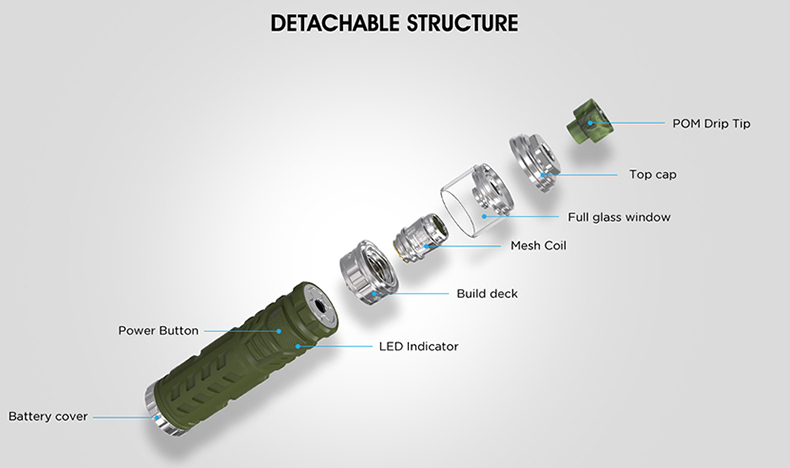 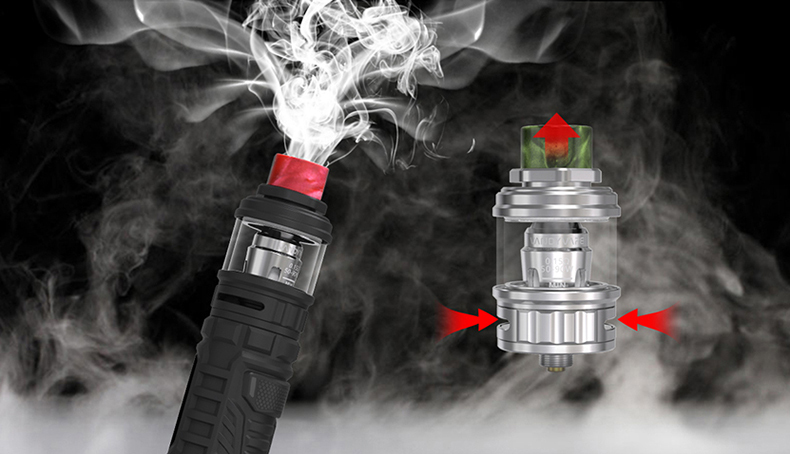 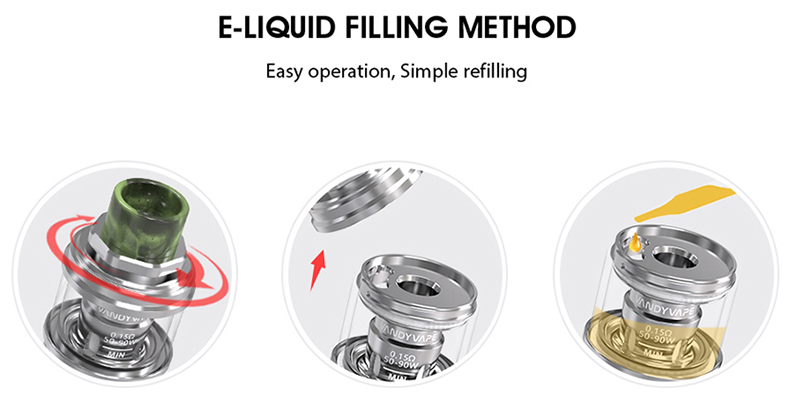 In addition, its Trident Sub Ohm tank utilizes integrated mesh coil to achieve massive clouds and pure flavor. 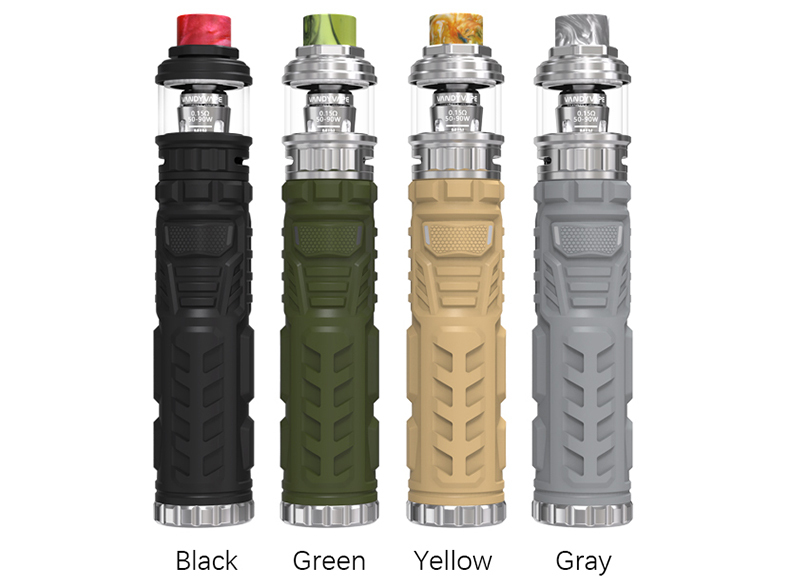 4 colors: Gray, Yellow, Green, Black for option. 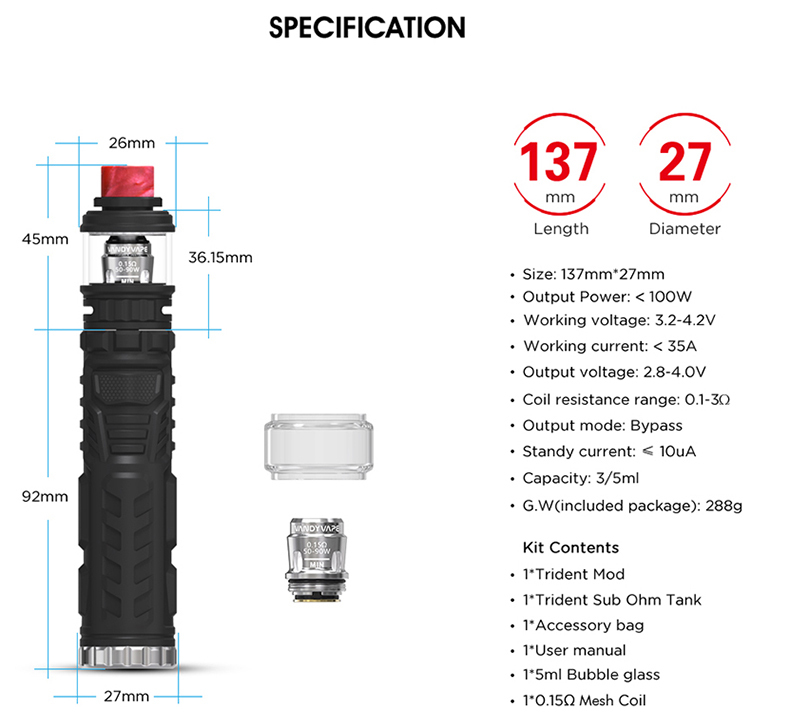 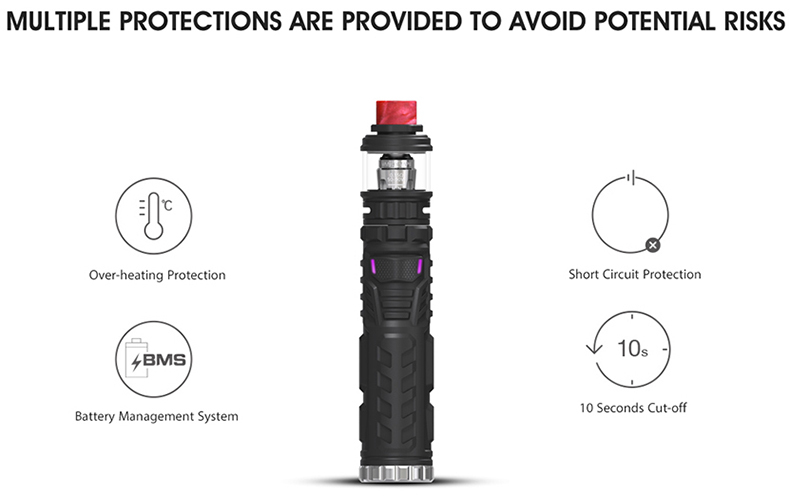 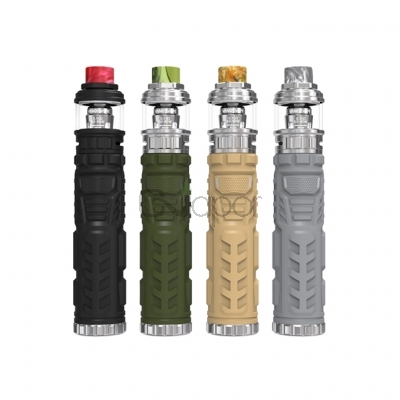 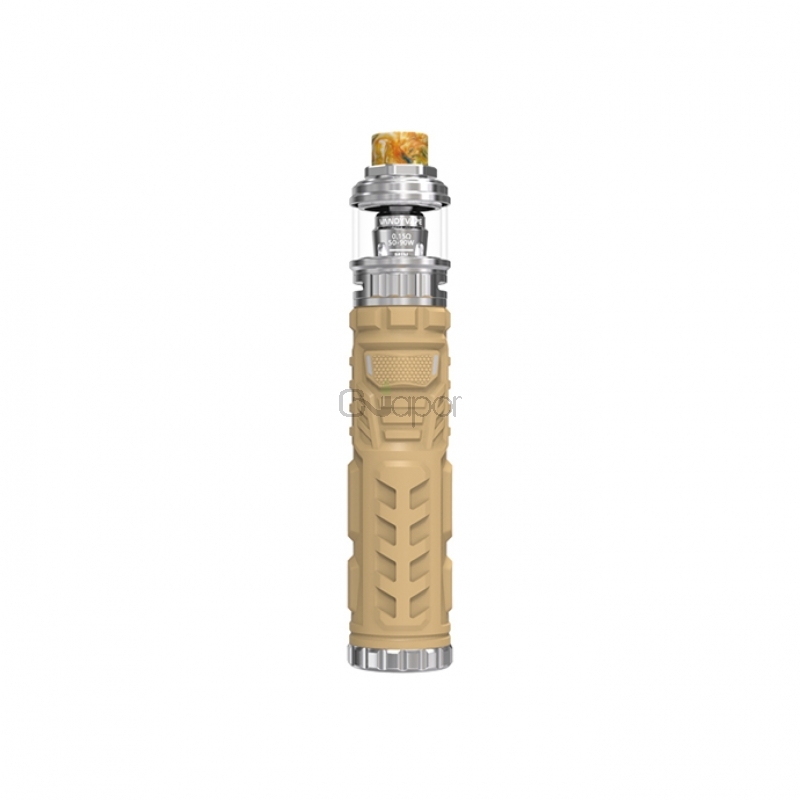 Three Months warranty period for Vandy Vape Trident Kit.